Description: Close up shot, giraffe facing the camera. 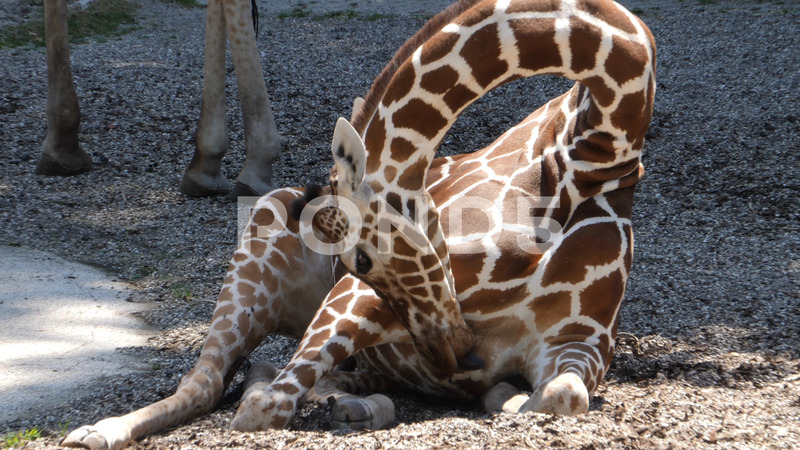 The giraffe is laying on the ground, with its neck bent down to its chest. It licks its fur. It then extends its neck forward and straight out, and sniffs the ground.